Five seats give you all the space you need to seat the whole family comfortably, with one power recliner at one end and one reclining chaise lounge at the other. Additional sectional configurations are available to better fit your space, with clever additions like a cup holder console, tray table, or easy-clean Performance Fabrics available to make the most out of your home theater space. Entertaining is about creating a space that looks great and feels incredibly welcoming, which can be hard work. But the truth is that you entertain people everyday- your kids, your friends, and your extended family all want to relax at your place. 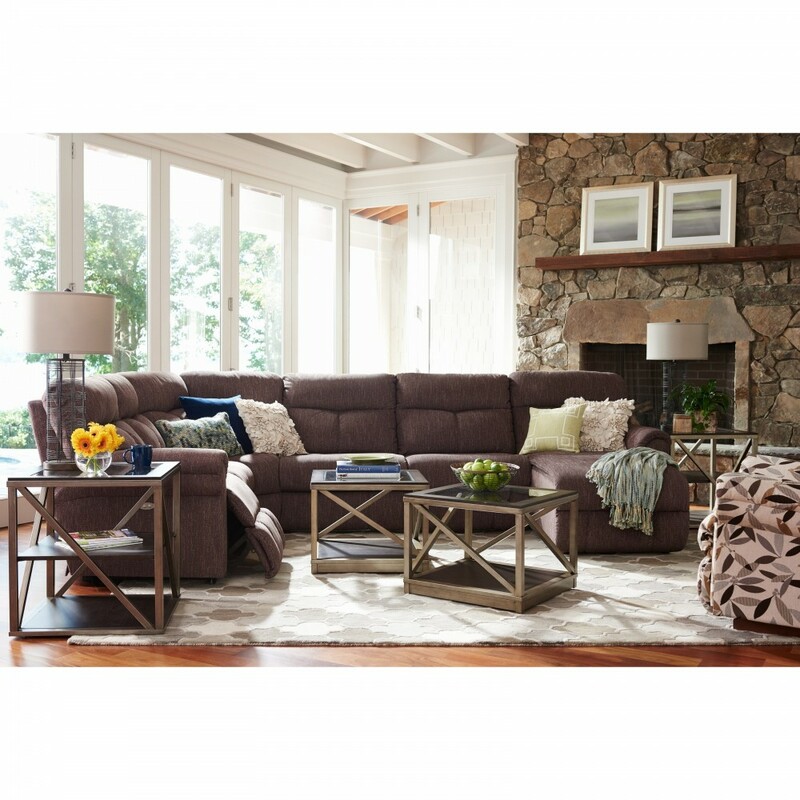 Host or hostess, you can make it easy on yourself with cozy recliners that are dependable and easy to love. With Sheldon recliners, you can build a reclining sectional sofa that seats your whole crew comfortably or get something special for yourself with our top-of-the-line customizable reclining chairs. 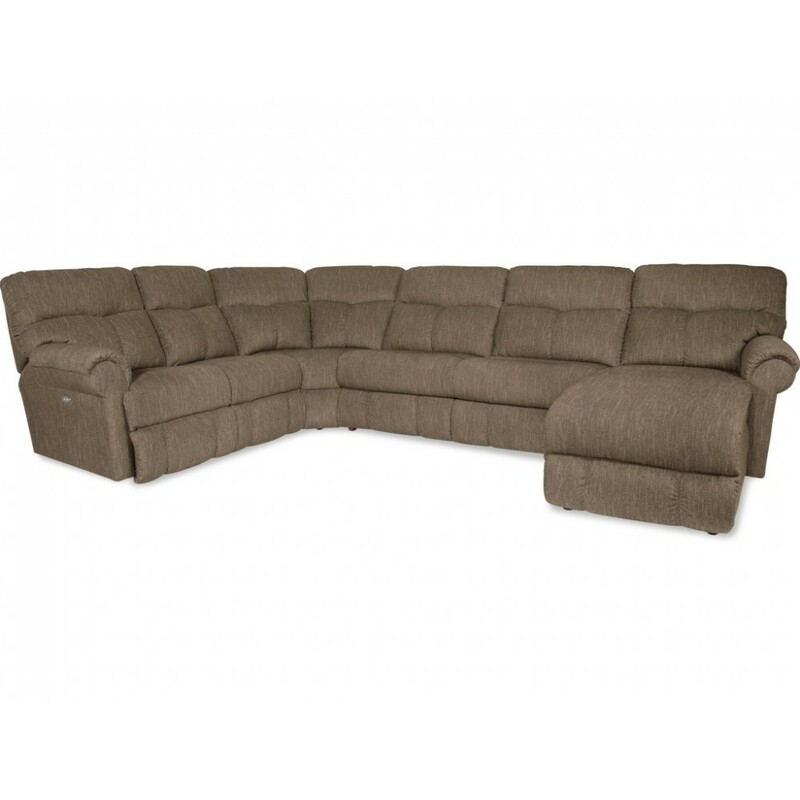 4MM750 Armless Loveseat 1 64.5" 39" 41"
4QQ750 Left-Arm Reclining Chaise 1 37" 66.5" 41"
4EP750 Power La-Z-Time® Right-Arm Sitting Reclining Loveseat 1 55" 39" 41"
04C750 Corner Unit 1 62" 39" 41"